N.B: The Canoe at Heinfjordstua is leaking, and cannot be used! A relaxing weekend might cause some waste, use the one at Sneisen/Mostadmarka center. By the three way intersection (the busicon on our map) follow the road towards Venn for 70 meters, the container is at the right hand side. it's for everyones best, we're sure you'll agree. Heinfjordstua is situated in a hilly forest area at the north side of Store Draktsjøen. From 1966 on NTHI was renting this cabin from Meråker Brug A/S. They bought it in 1980. Before, it was a place for lumberjacks and horses. Now there are still lumberjacks at the cabin but horses haven't been seen so often... 1987 the earlier stable was altered to a sauna so it could be used again. 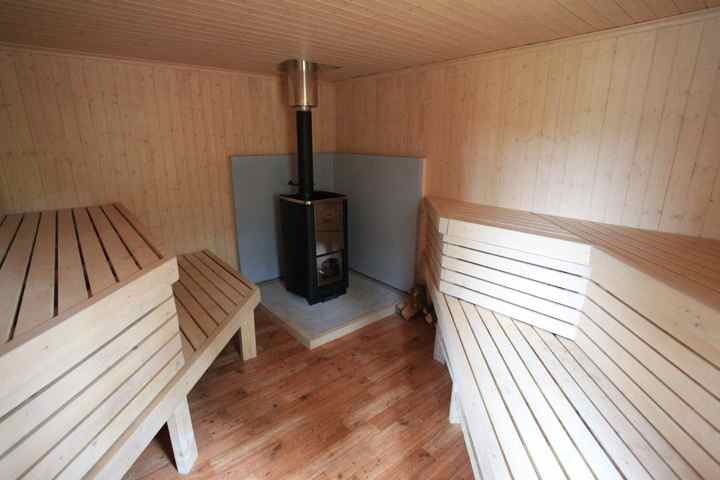 This sauna burnt down in 2008 and the cabin group worked hard in 2008/2009 to rebuilt it - bigger, warmer and nicer than before! Inside the cabin is place for 25 people around the tables. Guitar music, good food and maybe dance can give nice evenings. 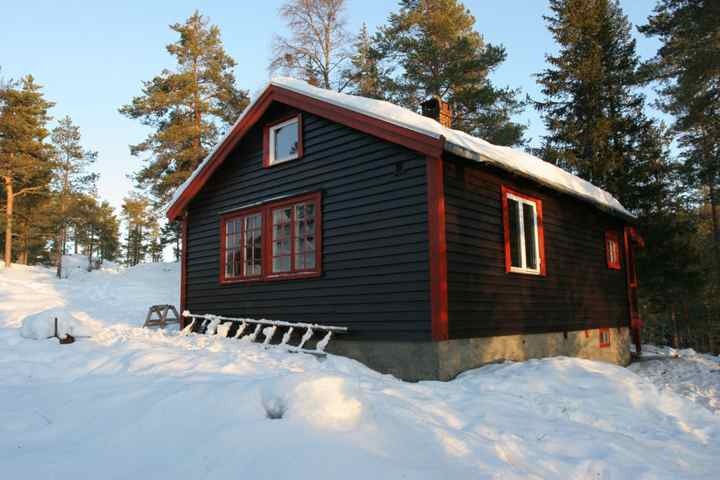 There is room for almost everything at Heinfjordstua. You can book the cabin for 25, and people can choose to sleep inside the living room, in the sleeping room or up in the newly built loft. But the cabin is not only good for indoor activities. There is a nice swimming place close to the cabin. Draktsjøen is a nice lake with many small islands and bays. 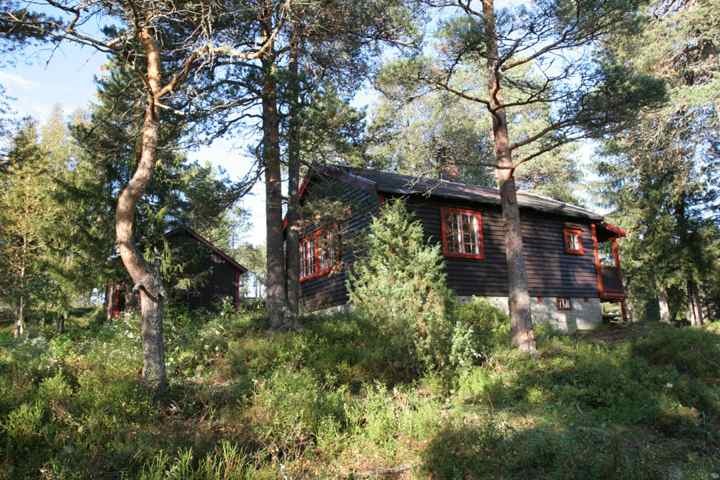 Around the cabin you can observe many different birds and also fishing is possible. Maybe you can catch something for the barbecue you have in the evening sun down at the lake? Selbukåten-Heinfjordstua is a popular trip which takes you through many marches which can be challenge, especially in autumn. NB: We have received some complaints from our cabin-neighbours lately of people borrowing their boats without permission. Please don't do this, as we wish to maintain a good relationship with them. It is a nice trip to go to Heinfjordstua by bike. You should manage the 35km in some hours if you don't stop to take a bath in Foldsjøen. On week days you can take the bus from Trondheim to Selbu (via Selbustrand) which you leave in Sneisen. From there you cross the bridge and turn to the right through a farm. After passing the bridge on the south end of Foldsjøen you turn to the left. Hundred meters later you will find a barrier which you have to pass. Follow the road until the end. From there you can see the cabin on the right hand side. In winter there is normally snow on the last part of the route so it's good to bring skis. During weekends there are no busses to Sneisen. Alternatively you can go by bus or train to Hommelvik and take a maxi taxi from there or take it directly from Trondheim. The table may be scrolled sideways. Check The Cabin Matrix for more information and comparison with other cabins. Summer and winter time: Parking place in front of the road barrier at Foldsjøen. There is a lot of traffic (wood transport and private cars) on the road all the year. Park in a way that you don't hinder this! For beginners. These cabins are easy to find and a road is going all the way to the cabin. You should anyhow be familiar with map and compass. For those with some experience. Characteristic for this category is that the cabins are not far from the nearest road and that the terrain is simple to walk in. For experienced users. 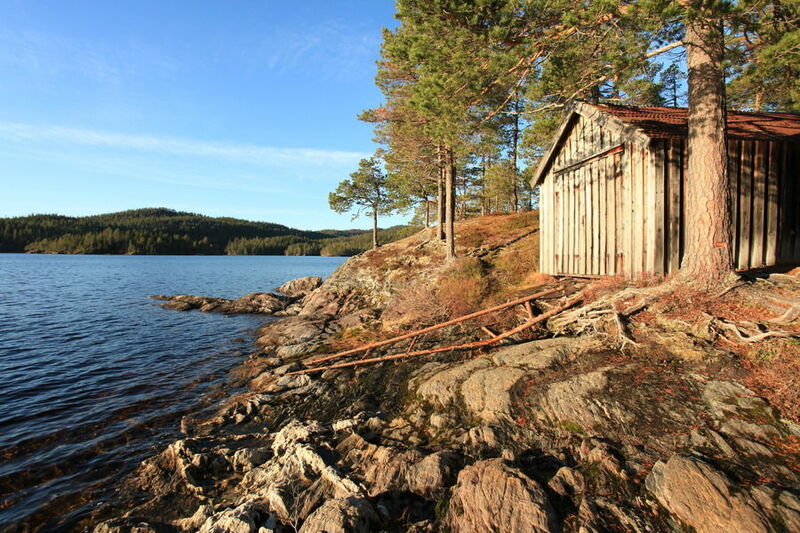 These cabins are situated farther from the nearest road and require good orienteering skills. May be exposed to the weather during winter. For ambitious users. What distinguishes these cabins from level 3 is that the terrain is more demanding on the way to the cabin, as well as that they can be hard to find. Demanding. The trip requires that you are familiar with the mountains and are well equipped. Long walking distance and weather conditions might be challenging.